Camp Cutthroat 2 – It’s Back!!! For once I’m on the ball and telling you about a food related show BEFORE it starts!!! 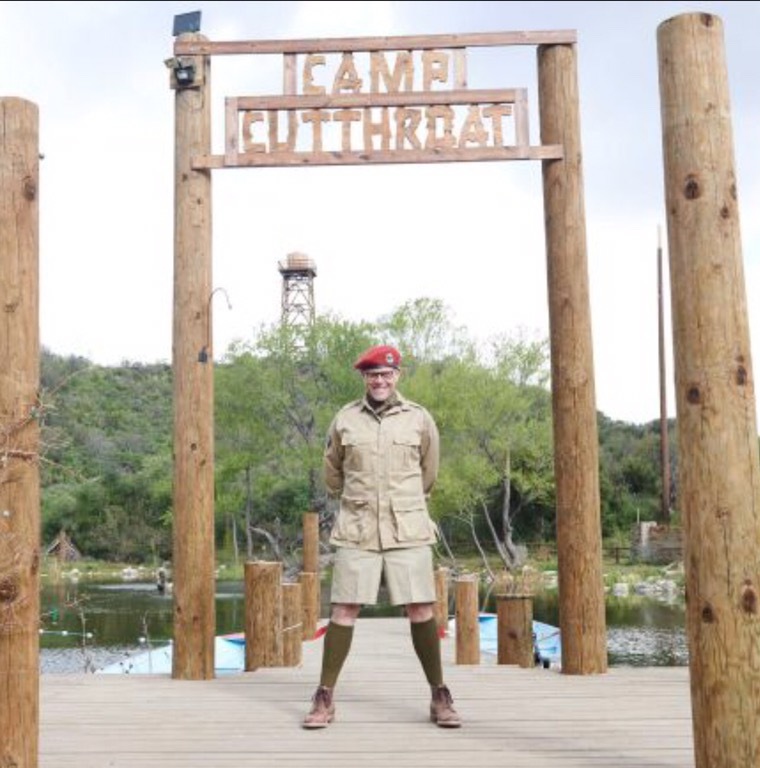 Camp Cutthroat will be returning to the Food Network on August 24. This summer the show takes the form of Camp Cutthroat 2: Alton’s Revenge! He’s revealing a 5-week diabolical plan to do in the chef campers. Anyway, I really enjoyed last summer’s version of Camp Cutthroat. I found it even more entertaining than the usual Cutthroat Kitchen episodes. I mean, who doesn’t love summer camp and camp pranks!?!? Good times! You should check it out! I know I’ll be watching! 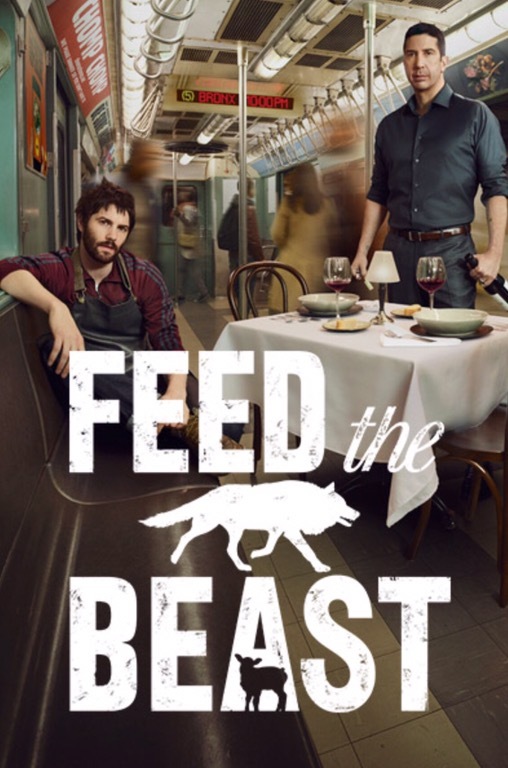 My husband and I have really been enjoying the new AMC series, Feed The Beast. I’m a fan of both David Schwimmer (Friends) and Jim Sturgess (Across The Universe) and they are a good combo playing childhood friends that have dreamed of opening a restaurant together. The show is a good combination of cooking, restaurant drama, mob activity, romance and sentimentality. It offers up a little bit of everything! Without being a spoiler, Schwimmer plays a widowed sommelier who is raising his adorable young son alone. Sturgess plays a big-hearted chef with a drug problem, who is involved in questionable activities. Enter the mob! Schwimmer is trying to raise a kid in a decent environment with a buddy who is going about getting money in the wrong way. Anyway, this is an interesting show! The characters are engaging and endearing and the action is plenty. There is a good enough amount of restaurant/kitchen/cooking activity to keep this foodie girl happy! Check it out and let me know what you think! I think the older episodes are available on on-demand and might also be available on the AMC website. 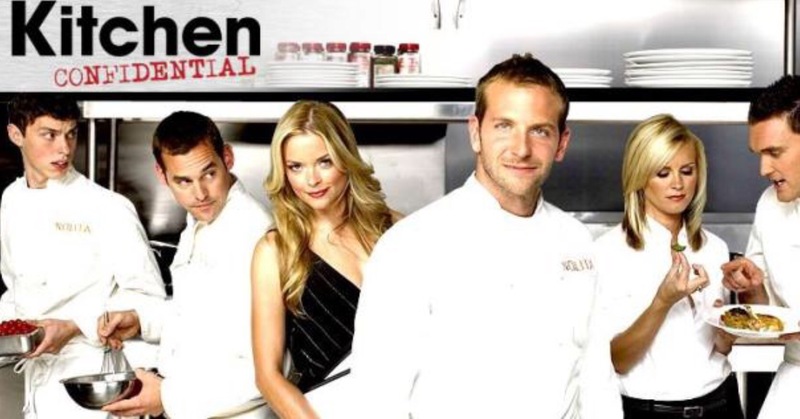 Kitchen Confidential – A Fun Cooking Sitcom! OK, I’ll admit it! I have a problem! I’m addicted to all things cooking related. I even like to watch movies and TV shows related to cooking. I recently renewed our Hulu subscription, so I could watch their original series 11-22-63 (which I highly recommend!!!). I was cruising around Hulu and looking at the food related shows they offer and ran across Kitchen Confidential. I had heard of Anthony Bourdain’s book of the same title, but had no idea a TV series had been made based on the book. AND it stars Bradley Cooper??? Score! This show is definitely worth your time! They only made one season, so it’s not a big time commitment. I’m surprised they didn’t make a second season, as I and my husband really enjoy this show. From what I could find online, it appears the show was battling with baseball for time slots and got lost in the shuffle. The cast of this show is great! It is a light-hearted look at the New York culinary world and the cast members are charming and funny. Plus, if you love food, you’ll dig all the fabulous meals being created. Anyway, if you have Hulu I strongly suggest you check out this show. It is definitely good for a laugh and Bradley Cooper is easy on the eyes! It is not for the kiddies though. Sorry I haven’t blogged in a little while. 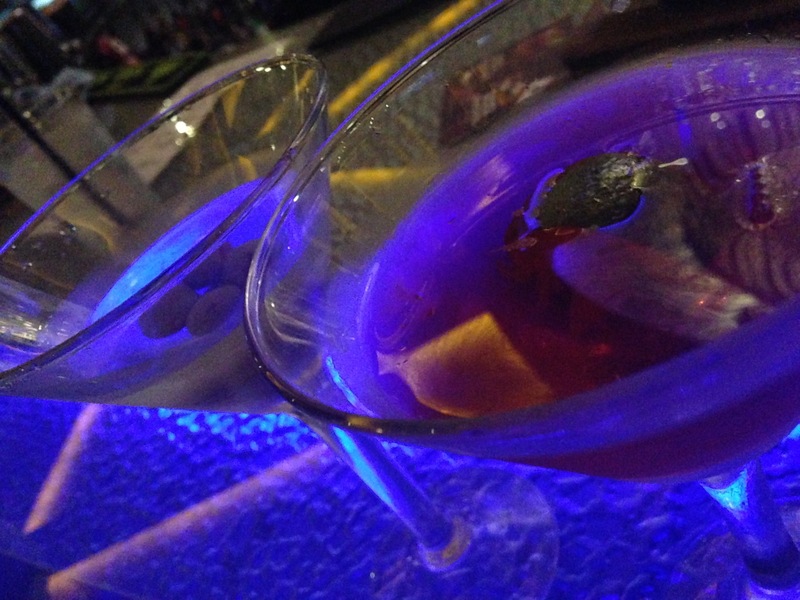 I have been working on our taxes and tonight I’m recovering! Have a great weekend!!!! Our family loves quiche! If you love eggs, sausage, cheese in a wonderful pie crust, you’ll love this dish. It also sneaks some veggies in! It’s so tasty though that your picky eaters won’t even fuss about the spinach in the dish! It’s fairly easy to make and since the pie shells come in a two pack, I usually go ahead and double the recipe making 2 quiches. These freeze great, so I’ll make two and freeze one for a quick dinner on another night. On this particular night, by 17 year old daughter was our chef doing the cooking. She also made my recipe for Hawaiian Sweet Bread to accompany our quiche. Quiche is a great dish for breakfast, lunch, brunch or dinner! On a few occasions, we’ve hosted a brunch for Mother’s Day. 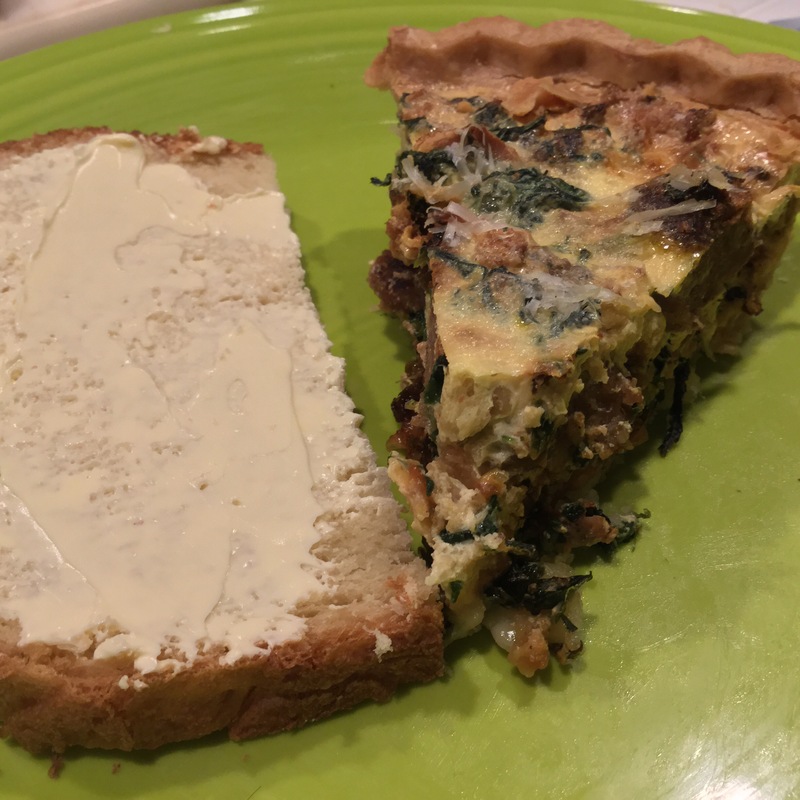 This quiche was a perfect dish for such a brunch and was very well received. In the following recipe, I’ve given some tips on how to reduce the fat and calories. In a previous blog post, I shared a method for cutting additional fat and calories by replacing the pie crust with shredded potatoes. Preheat oven to 400 degrees. Let frozen pastry shell stand at room temperature for 10 minutes, do not puncture the pastry shell. Bake 7 minutes. Remove from oven, set aside. Reduce oven temperature to 375 degrees. In a medium skillet, cook sausage, green onions and garlic over medium-high heat until sausage is done, stirring occasionally, breaking sausage into small pieces. Drain sausage mixture. Stir in spinach and stuffing mix. Sprinkle first cheese and then sausage mixture into the pastry shell. In a medium bowl, combine eggs and half and half with a whisk or fork until mixed well but not frothy. Pour egg mixture over sausage mixture in the pastry shell. Bake 35 minutes. Sprinkle with parmesan cheese and paprika. Bake 20 minutes or until knife inserted off-center comes out clean. Let stand 10 minutes before serving. Makes 3-5 servings. 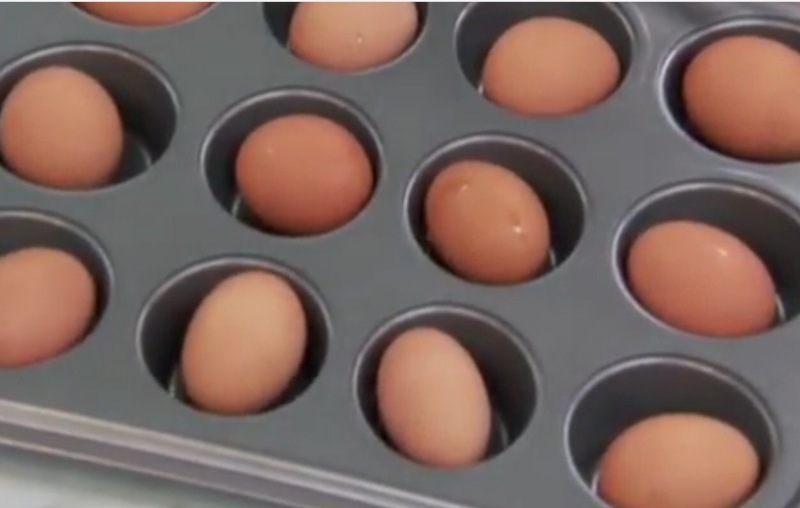 Hard Boiled Eggs in the Oven – Who Knew it Could Be This Easy!?! Check this out! You can make perfect hard boiled eggs in the oven! Who knew!?! No water required! All you need is your eggs, a muffin pan and a 325 degree oven.I just saw a Food Network video on how to make these. You simply place your eggs in the muffin pan, put the pan in a 325 degree oven and bake for 30 minutes. 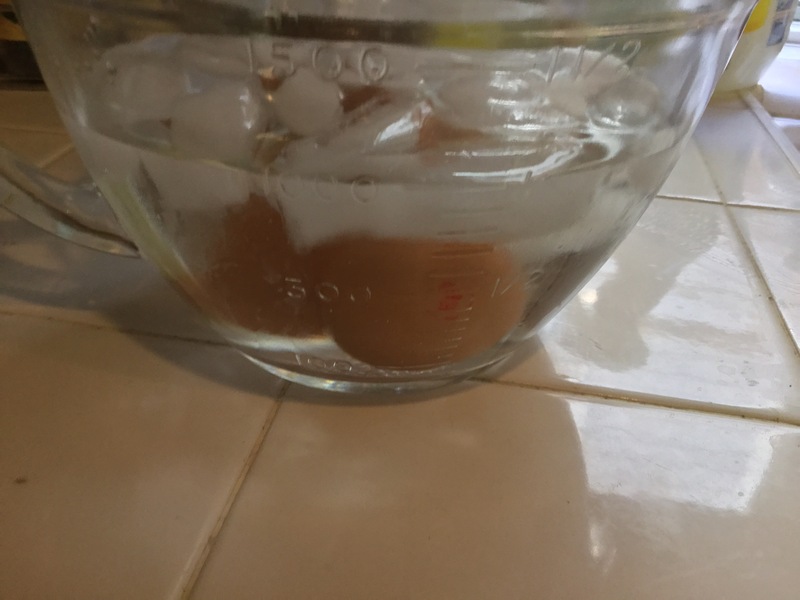 When the cooking is done, you remove them from the oven and put your eggs in a bowl of ice water. Shocking the eggs in the ice water will cool them and make them easier to peel. Now, I love my peeps at the Food Network, but I wouldn’t be a responsible, respectable food blogger if I didn’t try this myself. I HAD to know that it actually worked. Plus, I love me a good science experiment! I didn’t have an entire dozen eggs on hand (OK, I only had 4! ), so I only cooked 2. I didn’t want my daughter to be in a bad mood if she couldn’t make her fried egg sandwich on her spring break morning! So how did it work, you ask? Perfectly! 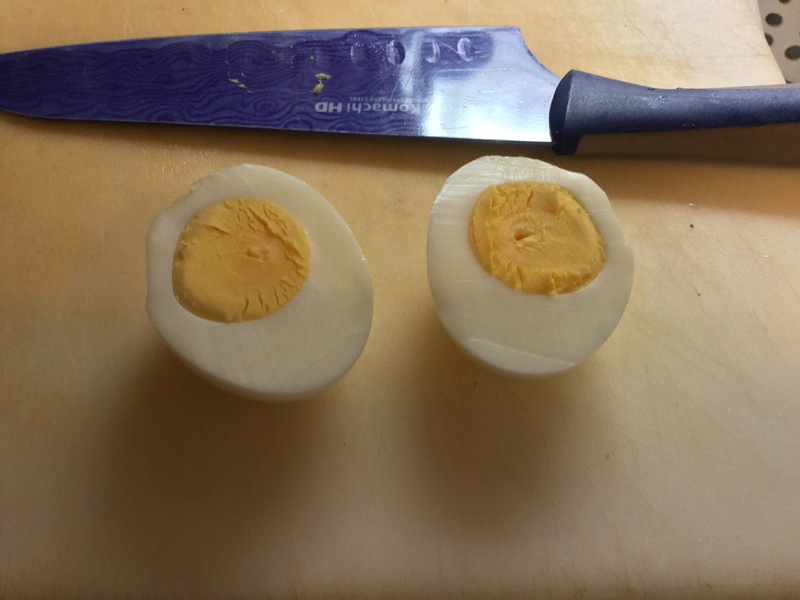 As you can see from the picture below, the egg yolk is perfectly cooked, no green ring or undercooked center! Voila! Now you have eggs for eating, egg salad, or deviled eggs. Easy peasy!!! Slow Cooked Cheesy Ranch Potatoes – Easy, Make Ahead, and Delicious!!! 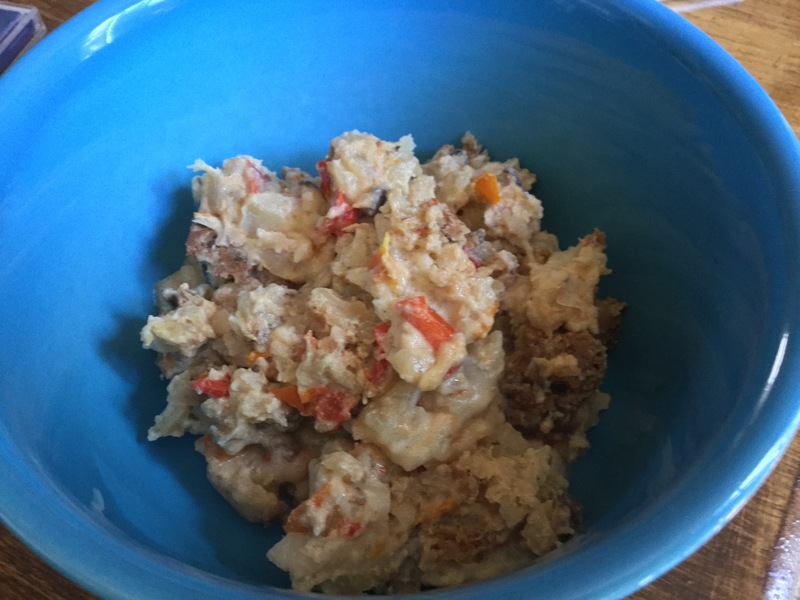 In the past, I have made a potato dish in the slow cooker. It was good, but really fattening. I decided to take the basics of that recipe and make a healthier version. I made these for a family Easter luncheon and everyone really seemed to enjoy them. They were very flavorful and convenient, because you can make them ahead of time and pop into the slow cooker. They were perfect for a big gathering on a busy day! The combination of sautéed vegetables, cheese, sour cream and ranch dressing mix added a ton of flavor. Using frozen, southern hash brown potatoes makes the preparation of this dish a breeze. No peeling and cutting potatoes is required. I did all the steps up until putting them on to cook in the slow cooker, the day before and then set the pot in the slow cooker at 7 a.m. Easter morning and they were ready for a 1 p.m. Lunch. Spray slow cooker with non-stick spray and add potatoes. Spray frying pan with non-stick spray and sauté peppers, onion and mushrooms. Add vegetables to potatoes. In a separate bowl, mix sour cream, cheese, milk, ranch dressing mix, salt and pepper. Add to potatoes and stir well. Cover and cook on low for 6 hours. This serves about 15-18 people. This Food Blogger is Stepping Up Her Game with Home Grown Veggies! More to come as time advances, but this girl is stepping up her cooking game this year! I’m a farmer’s daughter who has planted before, but it has been a few years. 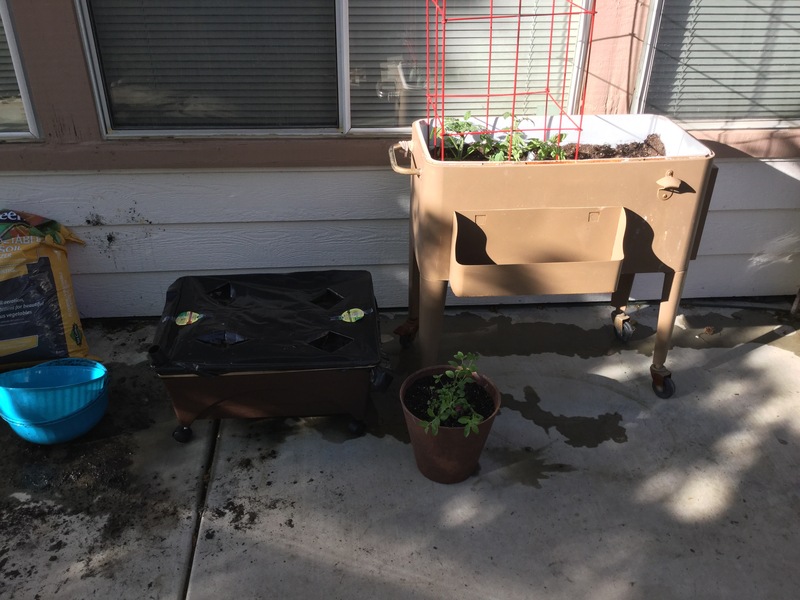 My husband I just played in the dirt planting Roma tomatoes, cherry tomatoes, red bell peppers, jalapeno peppers, oregano and cilantro. 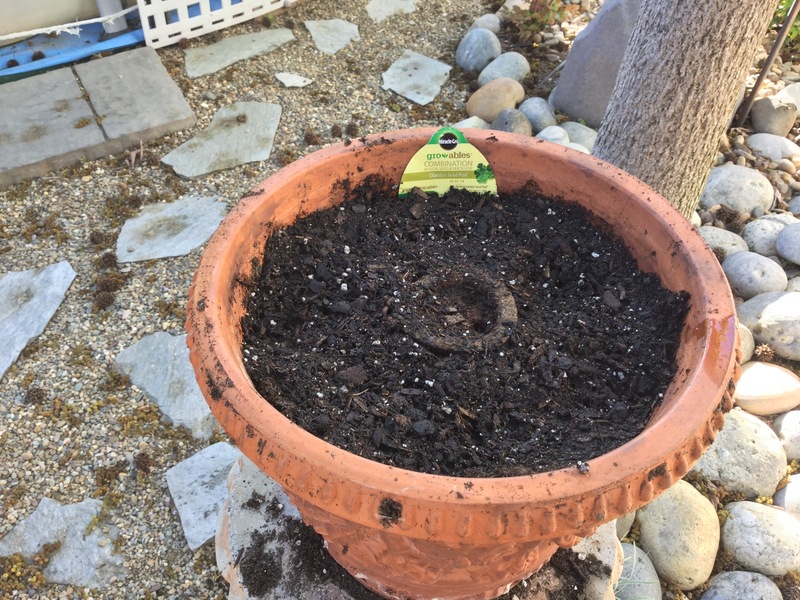 We still have some basil and cucumbers left to plant. I’m looking forward to fried green tomatoes, fresh salsa, sundried tomatoes and marinara made with home grown tomatoes! If you have never planted a garden, I can’t recommend it enough! It’s not just the effort, the vegetables truly taste like NOTHING you’ve had before!!! You just can get tomatoes, whether farm fresh or from the grocery store, that taste like home grown! There are so many uses that you can never have too many. You can make sundried tomatoes and marinara and freeze for later use. Wow we made a mess though! And I’ve washed my hands 3 times and still have dirt under my nails. It will all be worth it though! I can just imagine how wonderful the marinara sauce will be!!! You know you’ll hear more from me about that!!! Soft Baked Pretzels – Use Your Bread Maker to Do All the Work!!! I got a great response to my earlier post on making pizza crust dough in the bread maker. In talking to one of my food blog friends, the topic of pretzels came up. I shared that I also have a recipe for making pretzel dough in the bread maker. Those bread makers are a work horse! If you don’t have one, I would seriously think about getting one! I was a little hesitant about investing in a bread maker. I heard from so many people that have them and never use them. So I went on a mission to get one on the cheap or even better, free! I put word out on Facebook to see if anyone had a bread maker they wanted to unload. Low and behold, one of my friends had one that she never used and was glad to give it up. Don’t worry! I have shared many a loaf of fresh baked bread with her! I purposely leave my machine out on the counter as a reminder to use it and I would say I do use it once or twice a week. The great thing about these machines is they do more than just bake a wide variety of breads. You can use the dough setting to make dinner rolls, pizza dough and pretzels. There might be other uses too that I have yet to uncover. I have posted several bread recipes over the last few months. You can find them by searching my blog site. So in that spirit, here is my recipe for Soft Baked Pretzels. These pretzels are lot of fun to make with the family. Kids get a kick out of shaping their own pretzels. They can get creative as the shape really doesn’t matter much and the taste remains the same. I do have to give one warning though! I thought I would use this recipe and try and make my own pretzel rolls. We love sandwiches and burgers served on pretzel rolls! This venture did not turnout well! They did not bake well and were very doughy. I think there must be a better recipe for this, but I’m still working on that! I will figure it out though and share it when I do. Load first four ingredients in bread maker in the order listed. Set bread maker to dough setting and turn on. You DO NOT want your bread maker to bake the dough. When dough cycle of bread maker has completed, preheat oven to 425 degrees. Place dough on a floured surface and knead for 1 minute. Roll dough out into a rectangle about ½ inch thick. Divide dough into 12-15 equal size pieces. Roll each piece into a ball and place on a greased baking sheet, cover and let rest for 20 minutes. Roll each ball into a 12 inch long rope. 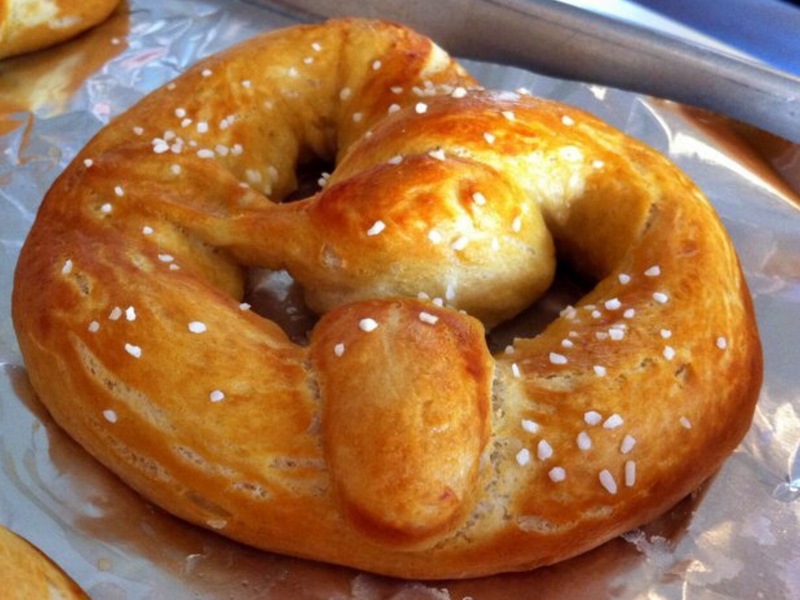 Shape into a pretzel shape on a greased baking pan. Bring a large pot of water to boil. Boil each pretzel for 10-15 seconds using large slotted spoon or spatula to remove from water and drain. Place pretzels on greased baking sheet, brush with egg white and sprinkle on coarse salt. Bake for 10 minutes.